For the past ten years, the Slavery Inventory Database has researched and recorded the identities and locations of enslaved individuals who lived in Northern Virginia. This work has been rewarding to me as an individual, as well as a professional. In the last few years, I consulted with the Fairfax Circuit Court Historic Records Center who took on and greatly expanded this important work in their Slavery Index Project. The archivists catalogued every enslaved individual recorded in the county's will books and deed books. Being involved with their efforts, I applaud them on behalf of myself and the Slavery Inventory Database for the overwhelming advancement of the knowledge of the enslaved community of Fairfax County, Virginia. My experience with the Fairfax Circuit Court Historic Records Center made me realize how much more work there is to do. As such, I recently entered into a partnership to start a nonprofit research organization called History Revealed, Inc. Its mission focuses on learning more about lesser-known groups of people from the past, and I am pleased to announce the organization will continue the research efforts of the Slavery Inventory Database. Historic Wanderings will still be wandering and recording historic sites. Watch for updates on the Slavery Inventory Database at History Revealed, Inc. 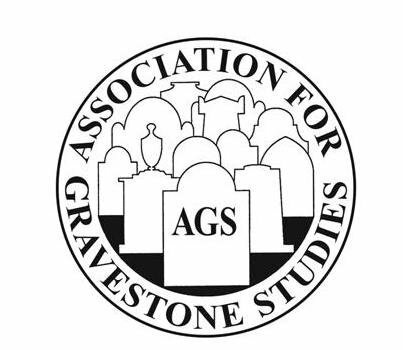 In the summer of 2005, as a volunteer researcher in the Virginia Room at the City of Fairfax Regional Library, I was trying to determine the identities of individuals buried in a slave cemetery (the Guinea Road Cemetery) in Fairfax County, Virginia. 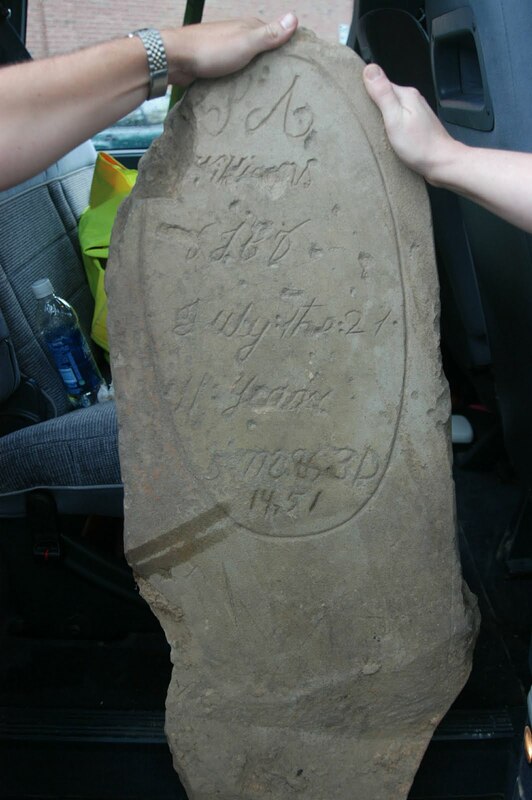 At the cemetery there was only one headstone that had a name carved into it, the other grave markers were just rough-cut field stones with no inscriptions. The research process was so challenging because of the lack of written records documenting the identities and existence of these enslaved individuals. I came to realize that there was literally next to nothing to document the tens of thousands of people, enslaved people, who had lived and died all around us. Our houses, our schools, our backyards (our Starbucks!) were all part of a previous and very different landscape. A landscape on which human beings were property, bought and sold, often separated from their families, never to reunite again. Documentation of enslaved individuals prior to 1865 is scarce, scattered and extremely user unfriendly. But, as I found out, jumping over that wall is hard, but it can be done. I use all sorts of historic records and documents; wills, deeds, chancery causes, and even diaries to gather and record the names of enslaved individuals who resided in Fairfax County, Virginia. Sometimes it is just the first name of one enslaved individual mentioned in passing in a local woman’s diary, and sometimes it is the first and last names of hundreds of people identified by family group in a deceased slave owner’s estate inventory. Once I have documented an enslaved individual in the database I start to look around that person for clues. Who was that person listed next to in an estate inventory? Was that person part of a family group? What plantation or farm was this enslaved person residing on and for what years? Was it possible that the slave owner sold or bequeathed this individual to another family member? And if so, did they stay in Fairfax County, Virginia? I have hundreds of questions like that that I constantly ask, and after a while I start to see some patterns and to get some answers. And hopefully, when I acquire an enslaved person’s surname, I can then find out more about the person and his or her possible family connections through postbellum records. It’s really an “information dance” back and forth (between ante-bellum and postbellum records) that I am able to build on and expand the information on any certain individual. I then look at all sorts of other possibilities of what may have been taking place on that landscape including: Where on a plantation were these people living? Where did they bury their dead? Where were the adjoining enslaved communities? Was there a free black community nearby? Were there family connections to other plantations, other counties, or other states? Was there any potential involvement in Underground Railroad activity? Presently, I am working on the database’s website. My aim is for people to be able to search the database by first name, last name, slave owner’s name, time period, plantation, to name but a very few examples. I hope to go “live” soon. It will be free to search the website. It is very satisfying to be able to bring together all of this data so that people can search and hopefully find their kin. I truly believe that anyone who wants to have access to their heritage should…period. In the future, I imagine the database will just keep expanding. By targeting Fairfax County, Virginia, it gives the project (and me) some parameters. But, the more I research, the more evident it becomes to me how connected and inter-related we all are, regardless of skin color. Maybe some day it will be known as just the “Slavery Inventory Database,” as other counties start to undertake and make available this kind of research. 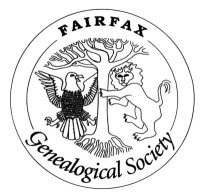 The Slavery Inventory Database would like to acknowledge the Fairfax County History Commission. The History Commission awarded the Database its very first research grant. The research that was performed under said grant can be found in The Virginia Room at The City of Fairfax Regional Library.